£3 million in government investment to drive forward the Life Sciences Industrial Strategy via apprenticeships and skills. UK-wide network of Advanced Therapies Treatment Centres will address the unique challenges of supply, maintenance and delivery of these complex medicines in the NHS. The Cell and Gene Therapy Catapult (CGT Catapult) today announced a significant scale-up of skills and capability training to bridge the gap between regulatory approval of cell and gene therapies and their integration into front line health services. Speaking at the World Advanced Therapies and Regenerative Medicine Congress in London, CGT Catapult Chief Executive Officer Keith Thompson said the new funding was made available by UK Research and Innovation, through Innovate UK, in response to Sir John Bell’s Life Sciences Industrial Strategy. It comprises £3 million, funded through the Government’s Industrial Strategy Challenge Fund (ISCF) for Advanced Therapies Treatment Centres (ATTCs) and awarded following the recommendations of the Medicines Manufacturing Industry Partnership (MMIP). Cell and gene therapies live at the leading edge of medical and scientific possibility, but medicines discovery and clinical development are only half the story. Key to widespread adoption in health services is the unique skills and capability set required to manufacture, supply and administer these important medicines to patients. We’re therefore pleased to be announcing a £1.5 million allocation to develop apprenticeships in partnership with MMIP, and £1.5 million for capability development through the ATTCs. The UK is maintaining a strong global lead in the development of advanced therapies and is rightly turning its attention to bringing the skills necessary to translate discovery to successful patient care. Anchoring the development, manufacture and use of these potentially curative medicines in the UK is critical and we are excited to embark on the next stage of the journey towards apprenticeships, training and highly-skilled job creation. Three UK Advanced Therapies Treatment Centres, previously awarded £21 million in Innovate UK funding through the ISCF Medicines Manufacturing challenge, are collaborative ventures between industry, academic and NHS partners. They comprise the Innovate Manchester Advanced Therapy Centre Hub (iMATCH), the Midlands-Wales Advanced Therapy Treatment Centre (MW-ATTC, comprising Birmingham, Wales and Nottingham) and the Northern Alliance Advanced Therapies Treatment Centre (NAATTC, comprising Scotland, Newcastle and Leeds). Key to the success of the planned centres is using technology to facilitate patient access to cell and gene therapy products. This will involve full traceability and appropriate patient follow up and data capture. The centres will also provide important data to support future reimbursement and payment, which otherwise would remain a key barrier to widespread implementation. The investment by Innovate UK in these centres builds on its existing track record for innovation in medical science to tackle some of the most debilitating and devastating medical conditions affecting people today, including cancer, heart failure, ophthalmic disease and neurological conditions. We are excited to be driving forward our mission to integrate a new generation of medicines into mainstream healthcare and also building the UK’s position as a global hub in clinical development and commercialisation. 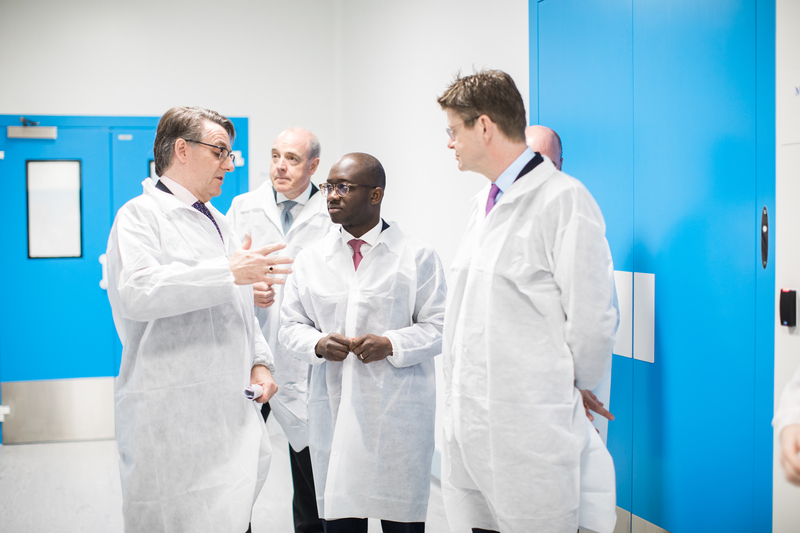 The new skills investment builds on the 2018 opening of the Cell and Gene Therapy Catpult manufacturing centre in Hertfordshire’s Stevenage Bioscience Catalyst. It is backed by over £60 million in Industrial Strategy investment and created to support and develop the rapidly growing global cell and gene therapy industry in the United Kingdom, whilst demonstrating the Government’s modern Industrial Strategy in action alongside plans for the Advanced Therapies Treatment Centres. Cell and Gene Therapy Catapult have two apprenticeship positions available. More information can be found on the find an apprenticeship website.